Dublin is quickly becoming a small cosmopolitan hub with a hipster edge. There are plenty of things to see, do, and eat no matter what type of trip you’re looking for. 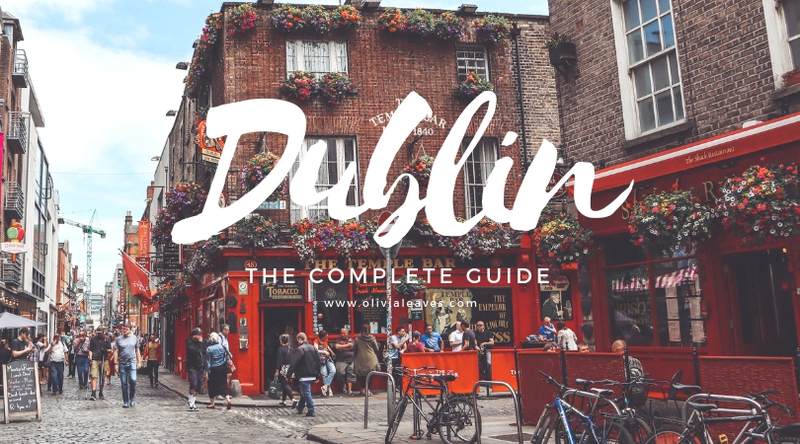 So here it is — your comprehensive guide to Dublin! I’ll be honest, it rains on and off most of the year. Even throughout the summer months, you’ll usually get rain. June and September are crowd pleasers, where the sun comes out for a few days straight and everyone heads to the park. If you ask a Dubliner, the sun comes out the minute the kids go back to school in September. That’s the closest you’ll get to an accurate weather prediction! There are buses from the airport that can get you into the city centre and then further afield. They’re great value for money, so if there is one going your direction, you’re better off than taking a taxi from the airport. Airlink Express and Aircoach are the two bus options, and between the two of them they cover most of Dublin and the surrounding areas. 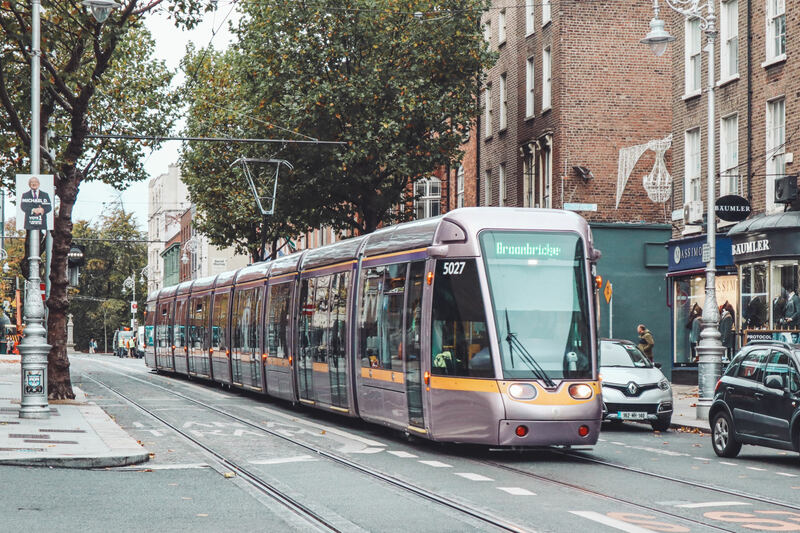 The Luas tram has been connected through much of the city centre, so if you’re staying very central you can use that as well. As it rains year round, you want to make sure you have semi-functional footwear if you’re going to be walking, something with a hood, and an umbrella. Everyone will tell you that all of the umbrella users in Dublin are tourists. It’s mostly true, but the odd time you’ll get light rain without any wind and your umbrella will work perfectly. Sometimes seeing a city is just about getting lost. 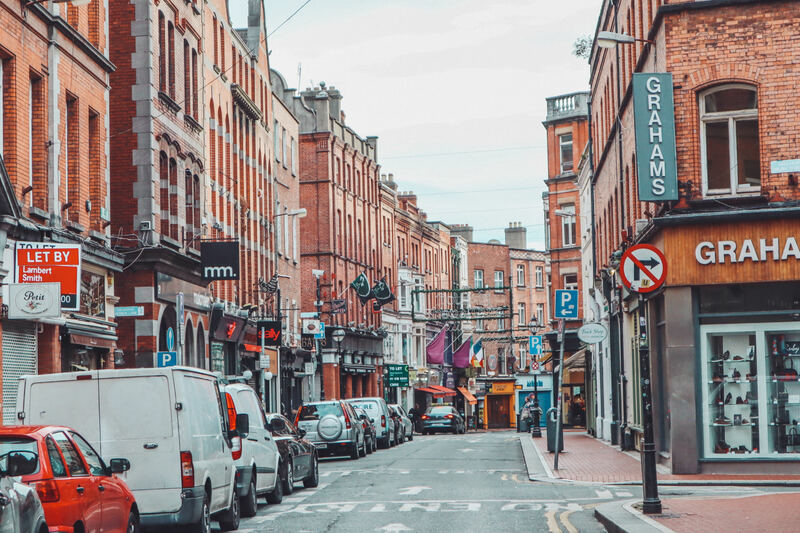 Head over to Dublin’s famous Grafton Street to rub shoulders with the locals. Shopping malls aren’t as big in Europe as they are in North America, and many people come in to town to do their clothes and food shopping. 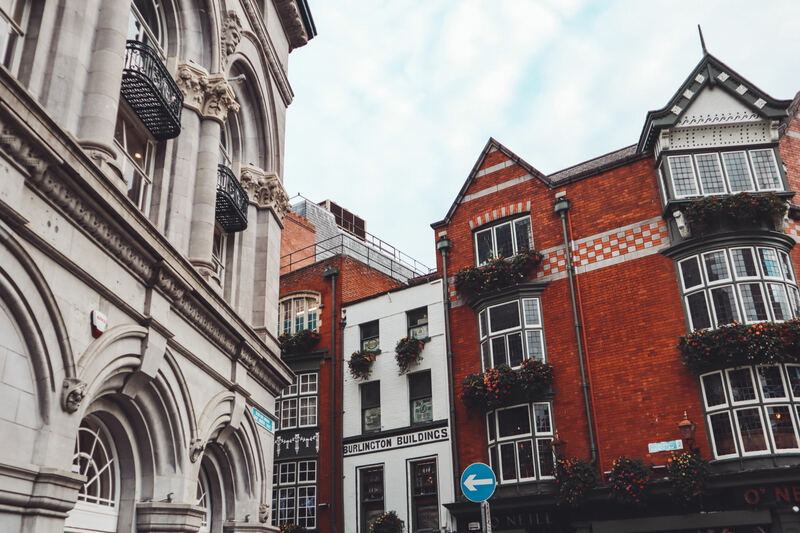 In and around Grafton Street is Dublin’s Creative Quarter, filled with lovely shop fronts, vintage clothing stores, bars, and restaurants. 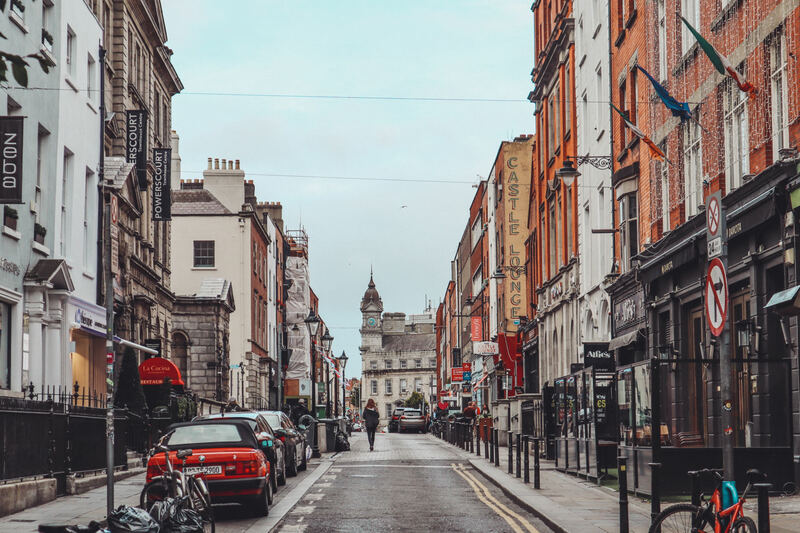 Spend some time here to get the buzz of what it’s like to live in Dublin. The Irish are known for being good craic (it means fun!). Experience Irish camaraderie at its best at the Aviva for a rugby match. It’s also a possibility that you might have the most fun chatting to the people in line at the bar. Follow the crowds to the nearest pub afterwards to continue the celebrations. I always take my visitors to Sophie’s if I can. There are lots of great restaurants in Dublin now, but none can offer the view that Sophie’s does, especially as the sun sets! They have good food options, great cocktails, and a stunning view of the whole city. You can book ahead online, and I always add a cheeky note about getting a table by the window. 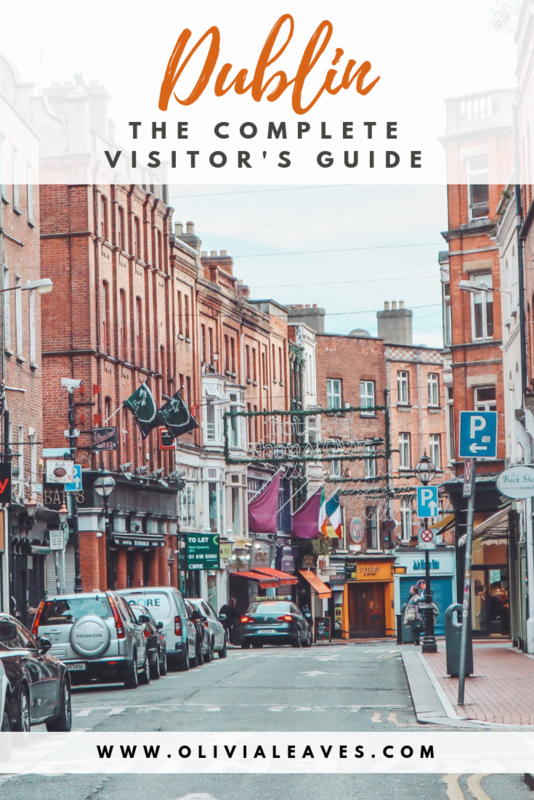 Want to make sure you can tell everyone that you’ve done Dublin? Here is a checklist to ensure you eliminate any potential travel FOMO. Disclaimer: there are a few things on the above itinerary that are a bit touristy. But if you want to see what everyone thinks is Dublin, you’ll want to check those out. 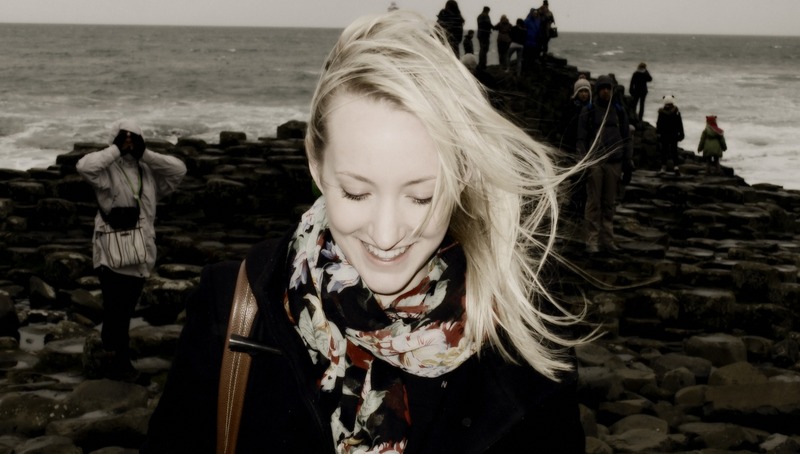 On the other hand, if you’re looking to see Dublin like a local, check out my other Dublin itineraries. There’s a lot to do in Dublin, but it’s not always easy to find. I live here and I sometimes only hear about things when it’s too late! Depending on your interests, take a look at the options below. 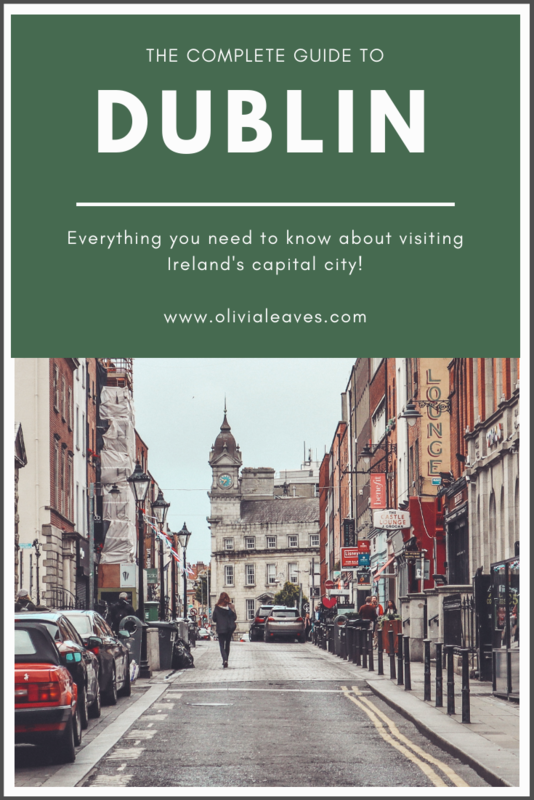 I’ve also written a blog with some alternative ideas for seeing Dublin on a Sunday, but many of those can be done any day! Need more food options? 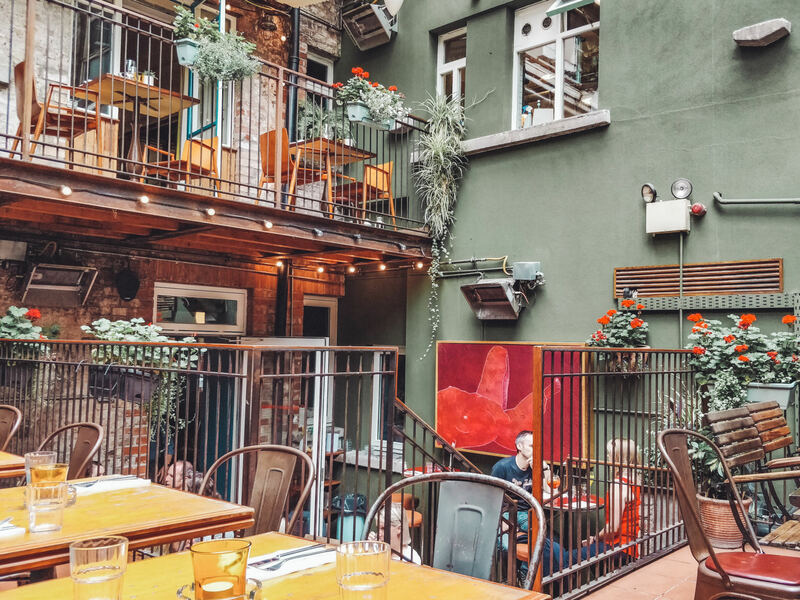 Take a look at my favourite restaurants in the Guide to Eating in Dublin. You want to stay close enough to the city that you can walk most places, but not so central that you won’t be able to fall asleep at night. Stay on the south side of the River Liffey to avoid the general hassle of unsavoury people at nighttime. 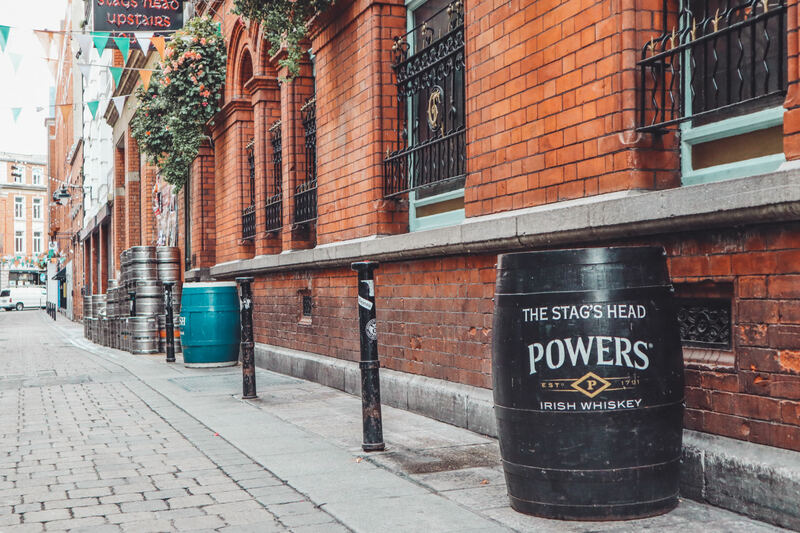 Temple Bar is a famous neighbourhood to visit, but I wouldn’t recommend staying there unless you plan to be up all night. In and around Stephen’s Green or Merrion Square are wonderful, central areas. They’re full of Georgian style houses that will give you a real Dublin feel. Other nice areas include Ranelagh, Ballsbridge, Sandymount, Donnybrook, and Grand Canal. With most of those you’ll have a 20-30 minute walk in to town, but the tram or buses can easily get you in to the centre too. I pulled together a list of some really cool Airbnb’s that might be of interest, or at least start you off in the right direction. 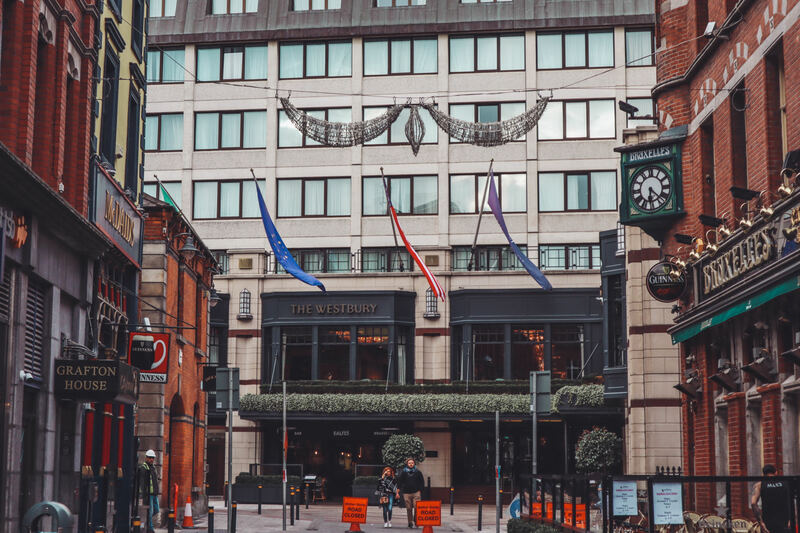 If you’re looking for a more upscale hotel experience, the best of the best in Dublin are: The Shelbourne Hotel, The Westbury Hotel, The Merrion Hotel, and The Clarence Hotel (owned by U2). 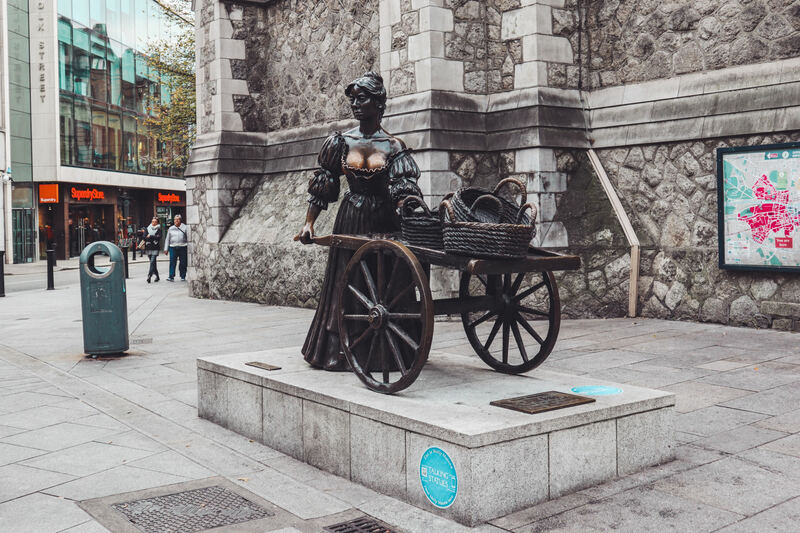 Looking for more information about Dublin? This post contains some affiliate links to help you simplify your trip planning, but all thoughts, opinions, photos, and funny comments are my own.